The by-election to elect a new ‘Popularly Elected’ Mayor to replace long serving Mayor Pet Reilly (who passed away recently) will be held on Saturday 12th April. 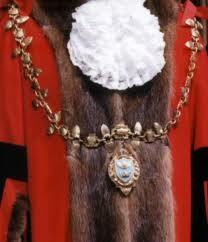 Councillors who have indicated that they are running include the Acting Mayor (Clr. Giles-Gidney) and Clr. John Hooper.Former Willoughby General Manager John Owen is also standing. It is also expected that Clr. Stuart Coppock who was unsuccessful at the two previous elections will also contest. Other Councillors considering running include Clr. Wendy Norton, Tony Mustaca, Nic Wright and Angelo Rozos. Four Clrs. have indicated that they will not be running (Hugh Eriksson, Lynne Saville, Judith Rutherford and Mandy Stevens). It is yet to be a seen if there area ny other candidates – here is a sizable Asian community within Chatswood that is under represented on Council. John Owen has advised that he has the support of Beth Reilly (former Lady Mayoress).